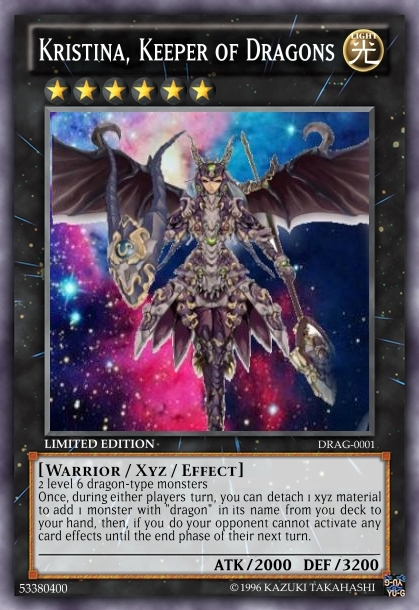 Once, during either players turn, you can detach 1 xyz material to add 1 monster with "dragon" in its name from you deck to your hand, then, if you do your opponent cannot activate any card effects until the end phase of their next turn. So does it work with slifer the sky dragon? blue eyes shining dragon etc? so litteraly any dragon card? Aint that a bit broken though? He Made a broken archtype so yea.